We’d love your help. Let us know what’s wrong with this preview of The Joy of Strategy by Allison Rimm. To ask other readers questions about The Joy of Strategy, please sign up. 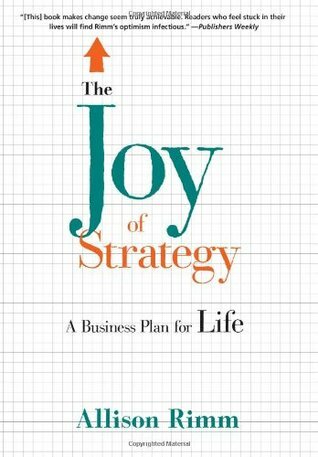 THE JOY OF STRATEGY provides readers with the necessary tools to think strategically about how best to create an enjoyable life. Allison Rimm's practical words of advice provide clarity, insight, and inspiration at just the right moments. This book is the perfect gift for the person who has everything--yet feels a sense something is still missing, or that there's just not enough time for what really matters. As someone who's led corporate workshops on planning and decision-making, I recognize THE JOY OF STRATEGY as an essential toolbox anyone can use to recreate their life from the top down, starting with what truly matters most. One of the most common mistakes most people make is to get caught up in reactionary mode, fighting each little fire as it comes up, without feeling an overall sense of living true to one's highest ideals or providing service to the world in ways that only you can ever do. Allison Rimm's book brilliantly provides the most important factors to keep in mind, one at a time, enabling readers to benefit from learning to think as strategically as the most productive companies, all the while keeping an emphasis on rediscovering true joy and happiness in life. We read this book for our professional book club and we all got something out of it. Very useful and highly recommended, but it does require introspection and a willingness to do the exercises if you want it to be applicable. Some of the examples seemed a little "buttoned up" but I definitely took away useful practical advice and vow to find joy in my work and life. Allison's conversational writing style makes this an engaging and helpful guide to rediscovering the joy in your working life. A great read. Struggled to finish this. Got redundant about halfway through and didn't lend itself to audio book while driving due to references to outside documents available on website that I couldn't access. It is very clear and pretty straightforward to understand the practical tools this book describes. Allison Rimm is a management consultant, coach, and award-winning educator who inspires individuals and organizational leaders to create breathtaking visions and practical plans to make them come to life. 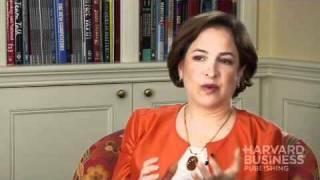 She is the former Senior Vice President of Strategic Planning and Information Management at Massachusetts General Hospital, a multi-billion dollar hospital renowned for excellence and innovation. Allison Rimm is a management consultant, coach, and award-winning educator who inspires individuals and organizational leaders to create breathtaking visions and practical plans to make them come to life. She is the former Senior Vice President of Strategic Planning and Information Management at Massachusetts General Hospital, a multi-billion dollar hospital renowned for excellence and innovation. Now at the helm of Allison Rimm & Associates, she engages the hearts and minds of her consulting clients to drive performance and create teams joyfully committed to their collective missions. Mixing soul and strategy, Allison draws on her expertise in complex project management, governance and leadership to get her coaching clients focused, organized and motivated to take decisive action to achieve their goals. Inspired by her popular Business of Life™ workshop series, Allison wrote The Joy of Strategy: A Business Plan for Life. Using conventional business techniques and unconventional wisdom, this book presents an eight-step program and practical tools to help readers find their purpose, set goals and use proven techniques to achieve a balanced and fulfilling life.